Home » Diet » 5 Top Vegan Protein Sources! As a general rule, we have always relied on meat as our main source of protein but recently people are beginning to explore different diets and seeking out new ways to pump up on their protein intake. You may be joining the vegan movement, or you could simply want to get more gains from grains, either way we have put together 5 Top Vegan Protein Sources! for you to add easily into your diet. So take a break from your workout and grab a pen to make your next shopping list! Chickpeas are so easy to find, you can buy them in a can, dried in a bag or premade into a yummy hummus dip from your local supermarket! Not only are they high in protein but they are a great source of fibre. So ditch the chicken and grab the chickpeas! Yes! You have just read that correctly. Peanuts have a whopping amount of protein and they are unbelievably tasty. Not only can you nibble on them as an in between-meals snack, you can put them on salads, blend them into cooking sauces, throw them into a stir-fry and don’t forget you can grab a tub of 100% peanut butter and spread that protein onto toast, rice crackers, or add a spoonful into a smoothie! Broccoli doesn’t have an overwhelming amount of protein I know, but when combined with other protein- packed plants you can still create a high meatless amount of protein. I like to make a chickpea and vegetable curry, adding peanuts in the sauce and broccoli for a nice bite. Chia Seeds are a great addition to add to most meals, you can sprinkle them on top of cereal and porridges for a crunch or you can add them into a jug of water and gulp the protein down. I like to add them into my lemon water in the morning. I think I have saved the best until last. Edamame beans run in the lead for my favourite healthy snack. 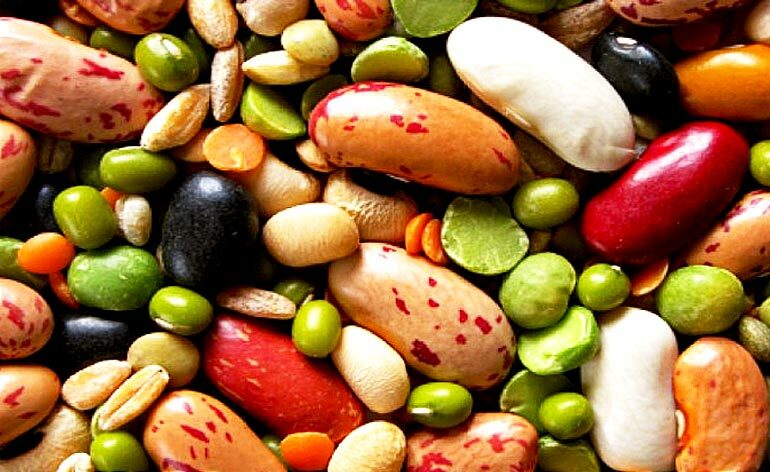 They are not only crammed with protein but contain bags of energy, fibre, various amino acids, minerals such as calcium, iron, magnesium, potassium, zinc – the list goes on…! As you can see it is very much a myth that we can only get protein from meat; we can, in reality create power-packed protein meals from plants alone! The variety is incredible and the combinations you could come up with are limitless! Tweet us a picture of the plant protein meals you’ve created and enjoyed @keepfitkingdom we’d love to share it and talk! 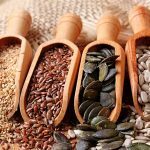 5 Super Seeds You Should Consume!